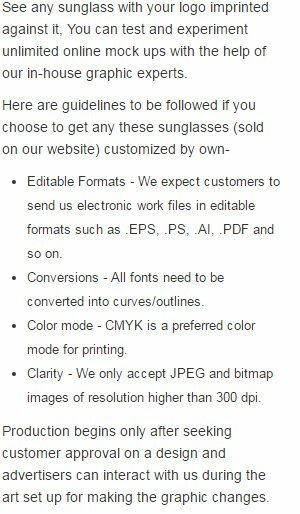 Customized Oahu sunglasses –translucent orange becomes the hotter gift during the summers due to various obvious reasons, including style, color and coolness quotient. Orange is the shade of the season, UV protection makes it cool and altogether it makes a fashion treat. If you wish to promote your brand with vengeance during this summer or wish to gift it during your oncoming summer nuptials, go ahead with plans. You can save more by ordering it in bulk. Request a quote to know discounted prices that you can avail for these promotional Oahu sunglasses –translucent orange. Features – Offers UV 400 protection. Orange frames with orange arms.